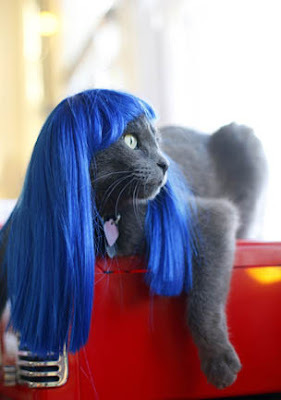 Blue gives your kitty a sharp look -- jazzy and totally copacetic. Yeah, that kitty is soooo copacetic! The copacetiest... like, ever.